Some time in the later half of the 90's I picked up a VHS tape ( no jokes please ) of an animated psychedelic music video called "Psy-Vision" by Australian record label Psy-Harmonics. This was absolutely mind-blowing stuff back then and I still pull it out of it's well worn plastic cover to give it a viewing now and then. The producer of the video, award winning media artist Troy Innocent, is currently Senior Lecturer, Department of Multimedia & Digital Arts at Monash University in Melbourne, Australia. The Youtube videos from the tape are not the highest of quality so i highly recommend getting a hold of the original tape if you can. This week I have a longer two hour psybient mix ready to go for all you fans of longer psychedelic chillout music. This mix kicks off with the brilliant Kuba ( aka Laurence Harvey ) and his track Chiquita from the CD Light Aromas on German label Chillcode Music. Laurence has released four incredible albums over the past 10 years so check him out if you have never heard of him before. Some of you might also remember that stupendous track he did on LSD records Mana Medicine compilation under the name of Grey Beard. Overdream, a psytrance duo from the Ukraine deliver our next tune from the Mosaic Dream compilation released by Polish label GoaTrance.pl. 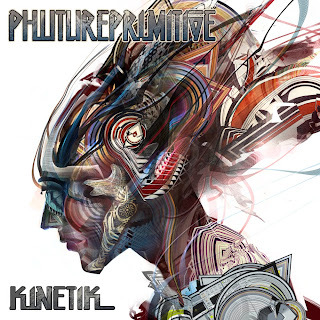 These guys make some of the best psychill music I've heard in recent times and their psytrance work is also top notch. Their hard work has been rewarded recently with their digital e.p SoundPrints reaching the number one spot on the Ektoplazm.com download charts. Next up is a group that is a recent discovery to me - Radioactive Sandwich. These two guys have been around for a quite a while as it turns out so I'm not sure why I had not heard of them before as their songs are insane. They have a load of albums to get your teeth into. Highly recommended ! This track comes from my favorite album of the month titled A World Of Earthly Delights. Visit the Radioactive Sandwich website to download it all for free ! 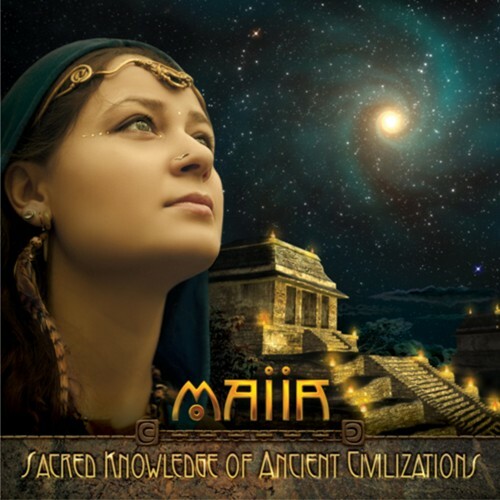 Maiia ( aka Alla Vagner ) is a Russian based musician who has been in and around the psychedelic ambient music scene of Moscow for quite some time now. Her early work as a chillout DJ in clubs and festivals has now evolved into an impressive band that features a roster of musicians that contribute their skills towards Alla's musical creations. This tune is from Alla's debut full-length record Sacred Knowledge Of Ancient Civilizations on Altar Records earlier this year. Another Russian artist that has been impressing everyone of late is the duo Koan. It's no coincidence that these guys feature quite a bit here on the psyamb site. Their tunes have quality written all over them and their latest full length release, The Fables Of Belovodye, is no exception. You can find this track, Flying Cities, and more exquisite Koan music as the Blue Tune Records website. Following some tracks from Illuminus and Tor.Ma ( from the excellent new Ease Division 4 comp ) we come to a tune of real note. Final Cat by the oddly named Swen (Dzoncy) strOOp, is an absolute psychedelic circus ! I hope and pray this guy comes up with a full length album some time as everything I have heard from him so far has been refreshing new and crazy. Keep it up Swen !! You can find this one also on the Mosaic Dream digital free download compilation. Swen is also a gifted photographer - check out his work here. After Swen you can hear some tracks from Aedem and another track from Ott's recent heavy hitting release "Mir". Then we get to another tune I'm really diggin' of late, the dubstep inspired work of Phutureprimative's tune Cryogenic Dreams. Actually, the whole alumb from which this is taken has a very dubstep feel to it. 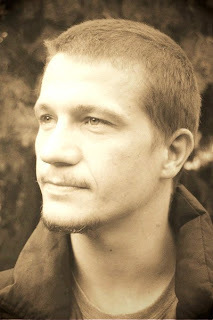 Phuturprimative made a name for himself with his debut release SubConscious back in 2004. That albumn was firmly set in the psybient and psydub mold. Some people are sure to be upset by the new Phutureprmitive direction but not I. Sure, there is a lot of dodgy dubstep music around as its popularity exploded but when it is done well and mixed with a enough psychedelic elements it can sound truly epic and that what his new album is. Would love to hear this one live ! Next is a track from the new Entheogenic albumn ( yes they are still around ! ) Gaia Sophia. The album is more of an e.p in a way with just the five tracks. However one track is 27 minutes long ! Remember the days when that wasn't so uncommon ? I really respect Entheogenic for what they have produced here. This is an album where they have gone back to their psychedelic roots and cast of all the disturbing jazzy stuff they tried to do on their last few releases. This is where they do their best work - psychedelic, swirling riffs over stuttering basslines and ethnic percussion. It's not the greatest Entheogenic album, that must be said. It does sound a bit cobbled together . But it seems a step in the right direction. Here is the DIFM PsyChill radio mix for May 2011. For endless online psychill listening, visit the DIFM psychill station through the link below. The have a great roster of psychill and psybient DJs uploading excellent mixes every week. It's probably no surprise to your guys that I'm quite a fan of Brian Eno. While playing around on YouTube today I stumbled across this video to "And Then So Clear" which seemed to perfectly fit my mood today. I enjoy his vocal tracks and this one is so relaxing. This is from Brian's 2005 album "Another Day On Earth". For something a little more up to date - check out this page over at NPR Music where Brian hosted an episode of All Songs Considered earlier this month. There you can here Brian DJing some of his favorite tunes from other artists and also chatting about his next release "Drums Between The Bells". Simon Posford has been a busy man this year with a full US tour of Shponlge plus the release of the latest Younger Brother album. Yesterday he took time out to have a bit of a chat with his fans on his Facebook group. What a nice chap ! Simon Posford (SP): “Disorientated and a little bored, waking up at 1am in my hotel room… let’s do a Q&A…. ask me anything, right now, and i will answer in this thread…. 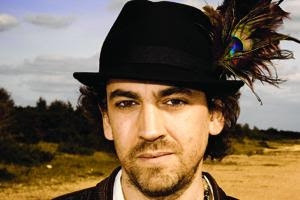 Misha Baker: What is your favorite Shpongle song?? Bahar McIntyre: What do you love? Sierra Oliveri: What’s your favorite instrument to play? SP: If i’m feeling sad, the piano. If i’m inspired or lazy, the guitar. If i want fun, the drums… but my kit isn’t always set up. Raja Ram: What’s the worst smell ever??? SP: As you well know, Raj, the worst smell is the smell of your headphones after a 2 hour DJ set!!! Andy VanDruff: Couldn’t stay away, is the smell of the headphones worse than your tour bus? SP: DEFINITELY! A scented candle or two can help a tour bus… but only an incinerator can fix those headphones! SP: I was in a Dub band for a while.